How Do I Get Coverage Similar To Bare Minerals Makeup? Bare Minerals is a very heavy mineral makeup due to it containing Bismuth Oxychloride. So it requires ongoing buffing you may be used to doing to get it to blend well and to stay on the skin, otherwise it slips into fine lines and creeps throughout the day. When using our Mineral Makeup Foundation it does not require all that buffing action which only further contributes to pore blockage and continued skin irritation, especially if you have acne or rosacea. Since our minerals are uniquely different than most mineral makeup sold on the market today, you only need to press and sweep with slight buffing for blending into the hair line and to give a nicely polished look to the skin. One key factor is to always make sure your skin is well moisturized since applying to just a freshly washed face with no moisturizer, you won't see the benefits our minerals can offer skin. Plus, you'll discover how absolutely goof proof our minerals are and the ease of overall application removes frustration and the concern about getting too much of your minerals in one place on the face. 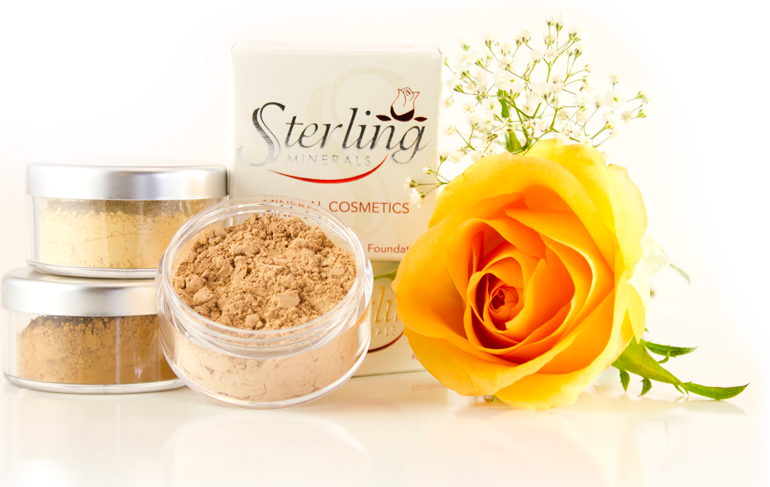 No more glopping or caking of your mineral makeup! By using the old bare minerals routine of endless buffing, women have found that instead of laying down our whisper light minerals on their face, they were actually buffing them right back off of the skin. When applied correctly, coverage is excellent, the finish is impeccable and skin is flawless without caking or creeping into fine lines. Make sure you choose the best formula suited for your skin type. Also our step by step instructions of the moist method technique is another excellent way to get better coverage, check skin tone match quickly, and to set your mineral makeup right away. No more waiting around those 20 minutes or more while you wait for you old brand of minerals to meld with your natural oils. You can find great video tutorials by Katherine at her YouTube Channel. She has quite a few for different applications of our products. Or watch the featured video to the right on foundation application using the moist method application technique.